Teenage years are critical for an individual. Your teen may be subjected to many influences and not all of them are good. In today´s world, with teenagers encountering many challenges in their daily lives, it's important that they are involved with good peers and have positive role models in addition to their classmates and teachers. 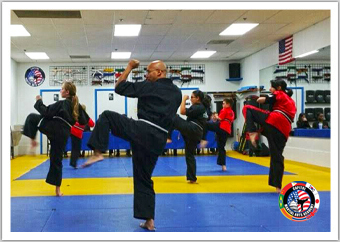 Capitol Martial Arts Academy instills these teens and young adults with positive values, focus, respect, and self-discipline that give them a huge advantage in life. We prepare our students with challenges that they may encounter by teaching them Martial Arts principles to take on life´s challenges. Promotion through belt levels gives each student an achievement with emphasis on physical fitness, strength, flexibility and coordination. Through the belt ranking system, our children are motivated to set short and long-term goals, from earning their color stripes between each belt test, to visioning and achieving the ultimate goal of earning a Black Belt. At Capitol Martial Arts Academy, our young students are taught that through dedicated, intense work, any goal in life is achievable. Our instructors balance serious training with a lighthearted side. We also want our students and even our instructors to have fun, enjoy the training and even the adults. Martial Arts is fun, there is the pleasure of seeing your body do things you didn't think it could, the pleasure of intense physical exercise, the friendly competition of sparring. And the pleasure that comes from learning something new. 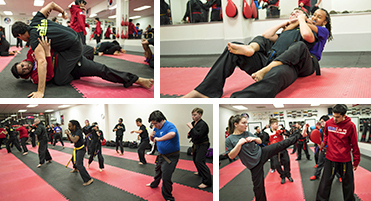 Capitol Martial Arts Academy also encourages adults to take the Martial Arts principles into their lives. Adults with or without Martial Arts experience are always welcome to join our school. Our Adult Tae Kwon Do Adult Program is designed to improve flexibility, endurance, balance, and overall health while reducing stress and increasing confidence and self–esteem. Whether you are a beginner or have a little experience with Martial Arts, we will help you learn. Tae Kwon Do is a safe and positive environment, providing a fun activity-driven atmosphere. Those with common interests can join together in physically rewarding and mentally challenging activities, and benefit from improved confidence, self-esteem, and an outlet to direct their energy. Parents greatly benefit from this program as well. Parents that benefit from the mental balance of the Martial Arts mindset are better equipped to deal with the challenges and stress, not only in their profession and at work, but also at home raising children. We incorporate stretching and constant aerobic exertion. The results are increased aerobic capacity, strength and awareness of one's body. With this program you will burn calories, build muscle, and kick your metabolism into high gear. Our work-outs are a great way to help you shed those unwanted pounds. The class includes variety of stretching activities that help you to avoid injuries and keep you feeling young and lively. We instill positive attitude to keep you motivated and inspired thinking about your progress and goals. Our students are encouraged to be success–oriented and focused on looking for the good in all situations. We want for each student to go home from class with renewed strength and enthusiasm. Martial Arts is a great workout for women of all ages. Find out the benefits of Martial Arts to women.